Home » Jacob Israel » Artificial Intelligence Threat Just Got WORSE! New AI So Dangerous It Could Start WW3?! Science DECEPTION: Can foods test “positive” for arsenic? 49 Comments on Artificial Intelligence Threat Just Got WORSE! New AI So Dangerous It Could Start WW3?! Hi Jacob! Great video! The message being shared through love. Skillfully played my friend. Glad you’re still here. 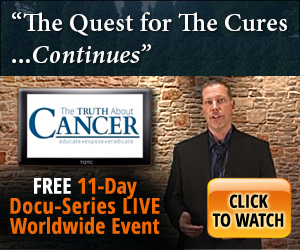 Seek the truth no matter the cost….thank you brother Jacob. God bless you and your family in Yeshua’s name Amen. Will Bentancur that saying has always bothered me . What if the cost is your soul? Weren’t Adam and Eve in search of truth/knowledge ? Some how I see ads for something I haven’t even said anything about. Just thought about only. One More Doll i was told by someone that supposedly called Bell, the local internet provider, that the little 5G thing at the end of your normal connection name to the internet actually means its broadcasting at 5mhz. you can see on the modem itself it says 2.4 and 5. i think it just stands for the hertz. not to say 5g isnt already secretly up or that 5mhz is something that isnt destroying life as well, but theres a chance its not fully 5G. yet, anyway. +Rodolfo Valencia Dr. Russell predicted the awakening 90 years ago. The so called “scientists” are currently “stealing all of is gifts to humanity at this time and claiming its their own research. Clowns. +Christopher Southard The mafyoso’s where putting all their phone’s and pager’s in a box outside the meeting room in the 80’s. My friend and I would point it out to people and they’d say we we’re crazy. Cricket phone service was introduced by the FBI. I’m sure a goggle search will reveal this. Think that was because they we’re concerned the sheep could get a ride home from the bar? Until you understand that Israel is behind all of it, using China to manufacture for tech secrets, along with Russia their age old partner in crime, you’ll never figure it out. Research Israel’s Arc chip that’s in every intel cpu. That’s why they have to bring forth their Mosiach ie messiah. Well if trump is backing it, we’re screwed. +J D Yes he is! I agree! We need to laugh a little! It IS good, usn’t it? Like The Chipmonks, on acid…. They pretty much primed it so that if bombshell evidence were to surface that exposed the bizarre satanism thats involved in politics the story would flop heavy. Even video evidence. Jacob I was surprised you still had that app, I remember you were thinking about erasing it after you showed us the first time cause it made you spooked back then. God is in total control and there is never anything to fear if you know Jesus Christ. Why do you pump the fear click bait so often man? You know Jesus Christ don’t you? I know you do brother. I agree that there is something waiting for us after this life, but I don’t think the Creator wants us to just blindly follow others. If we don’t look up once in a while and question our current reality, we’ll wind up lost with no idea how we got there. +Kaosu Tensai That’s adorable! You think people want to be informed? +Dark Skies Smile I unlearned religion and finally met God. I follow no man or women. I ask in prayer for enlightenment, answered and guidance. I try to treat others as myself. I am human and I am fallible. Just like everybody else is. I have faith that God is in control. A.I. really doesn’t bother me as much as the whole transgender and drag queen story time stuff. These are our children man…. I was exposed to transgender AND drag queens as a child. I turned out what society would call “normal”. Your kid will become whatever they are going to become. Outside influences don’t matter. The only thing about today is we can be free to expose our inner self, as where 100 years ago you couldn’t. That’s a GOOD thing, whether you believe it or not. It’s Satanic inversion and perversion and pedophilia. Tower of Babel. God said He would intervene in the end time and not allow the human race to eventually extinguish itself. It’s just so funny how it seems people can’t help but do along with this, until it starts to affect them then that’s when it’s going to far. But people are not doing anything about this, it’s disturbing. Jacob Israel ohh Hi Jacob! Lol IPhones. And it’s crazy because I have no problem when we use technology as a tool, however when we start replacing people with those tools it takes us away from our true potential.